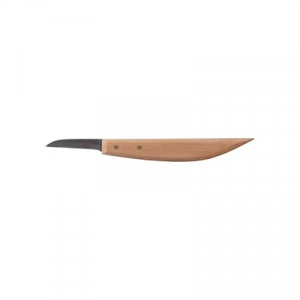 Small, 1-3/8", straight-edge knife with slim, contoured handle for controlled cutting. Mfg: R. Murphy Company SPECS: 6-7/8" (17.5cm) overall length. Wood handle.